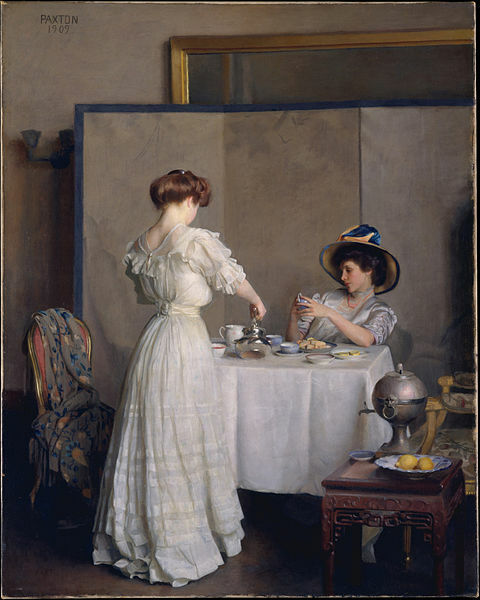 I haven’t written a Sunday post since the first one that I did about a month ago (it’s tough to find time for your own musings when your head is filled with your writing and other blogging :-)). But I’ve been reflecting this past week, which was a financially tough week for me, about how my attitude towards writing has changed over the course of five months. Up until April, I was working part-time jobs, first as an online instructor of English college courses and then as an online EFL (English as a Foreign Language) teacher. I had fulfilled one of my goals since 2006 when I got my Master’s degree in English – I was teaching adults online. While I enjoyed the work, the pay was very low, the work schedule unstable, and I spent a lot of unpaid time preparing lessons and grading papers. I always wanted to quit working and write full time, but for a long time, it was financially out of the question. I am lucky because I was moving towards an independent income from a property I co-own. We were waiting for all the loans and mortgage payments to finish before we could begin sharing the rental money from which I could at least live on. That didn’t happen until April. I didn’t realize how much my attitude towards my writing had been that of a hobbyist until I quit working my day job and began building my writing career. Before then, I wrote as I think many writers do, grabbing any free time I could to write, never setting deadlines as to when I would finish a draft (if I would finish it at all), revise it, and go through the process of trying to get it published. I never thought about how I would build an author platform, getting my name out on the internet and into social media. I loved writing but I didn’t think about it as a career (whether a paying one or not). 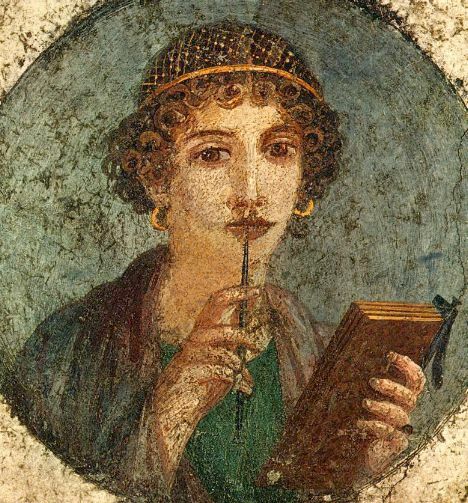 Sappho, one of the first known women poets, with a stylus and wax tablet. But when I quit my job to write full time, all that changed. Part of that change for me came with the discovery of the field of self-publishing. I have always been more of a do-it-yourself kind of person so I researched a lot about being an indie author. I knew that going the self-publishing route would mean a lot of hard work on my part because, unlike with a traditional publisher, there are certain aspects of getting the book out to audiences that they do (such as design book covers, do some editing/proofreading services, distribute the book, etc). As an indie author, I knew I would have to do much of it myself and contract others (like freelance editors and graphic designers) to do some of the work for me. I would have to think like a businesswoman and an entrepreneur and not like a person who just loves to write and leaves the publication of a book to others. 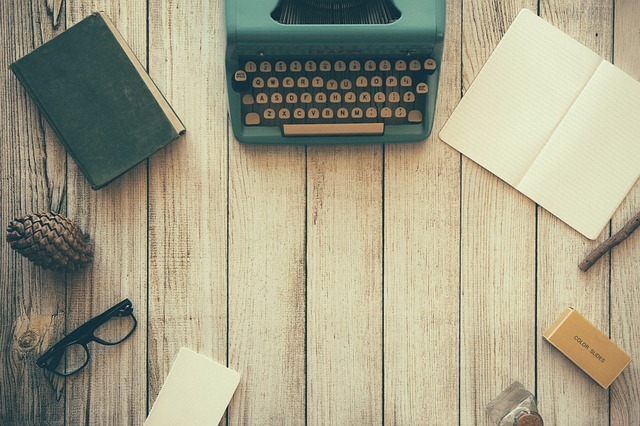 I realized that writing full-time did not mean just writing. I couldn’t just sit down at 8 a.m. in front of my computer, write until noon, have lunch, write until 5 p.m. and then call it quits (as much as I would like to). I would need to start building a writing career, which meant not just writing the book, but also polishing it, designing it, and figuring out how to get the word out about it. That required doing things that I never would have considered doing a few years ago – like building an author website, creating author pages on social medial sites like Facebook and Twitter, starting an email newsletter and keeping a blog. But if I wanted to be a professional rather than a hobbyist, I had to stop thinking about writing as just something I loved to do and start thinking about it as a way of entertaining and communicating with an audience. So I set deadlines for writing and revising (something I had never done before). I invested in a web host and domain name and built my author website. I set up my author pages on the social media sites that I love and continue to actively participate in. I figured out what it is I want to blog about and actively keep up the blog. And I am constantly writing, researching, and communicating. I don’t think it’s wrong to write as a hobbyist. Writing can be fulfilling if you’re just writing in a journal for yourself or if you create a book for your kids and grandkids. It all depends on what goals you have for your writing and what you wish to accomplish and whom you want to reach.